◆ Do you like military technology? ◆ Do you like airplanes? 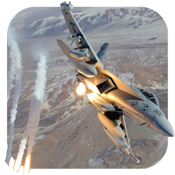 ◆ Do you like military aircrafts? ◆ Do you want to be a pilot? ◆ If you answer YES to any question, you should get the Aviation HD Wallpapers app. ◆ We have researched, collected and found out lots of latest military aircraft models of all countries in the world. With a large data warehouse, you will be completely satisfied with what you would see in this app. ◆ With the music has been carefully compiled in this app, you will enjoy yourself in a fierce air battle on the battlefield. The military aircrafts, helicopters, civilian aircrafts will be displayed clearly in your eyes. ◆ Enjoy a marvelous variety of images quickly. You’ve NEVER seen a collection like this!